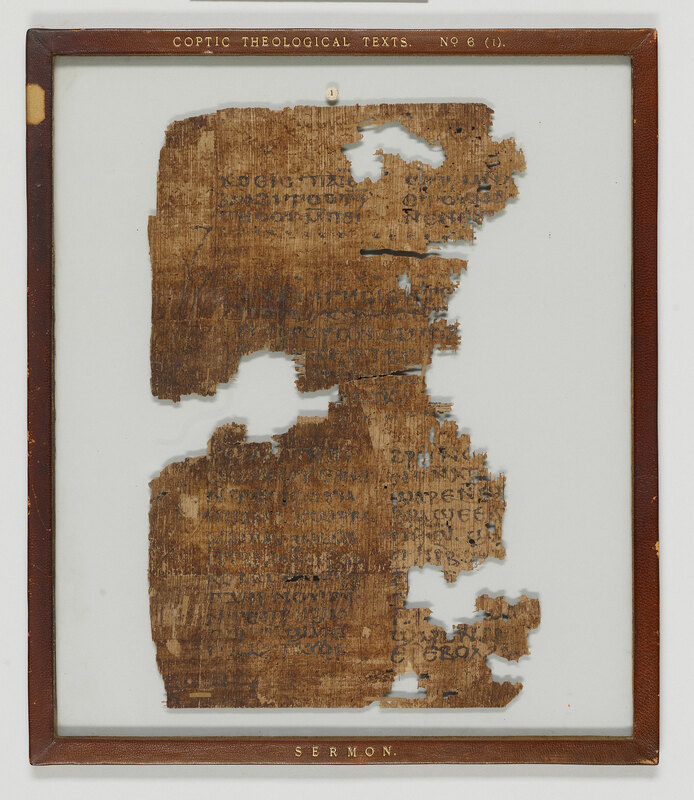 Manuscript fragments from two leaves of a papyrus codex, a homiletic miscellany; written in Egypt. 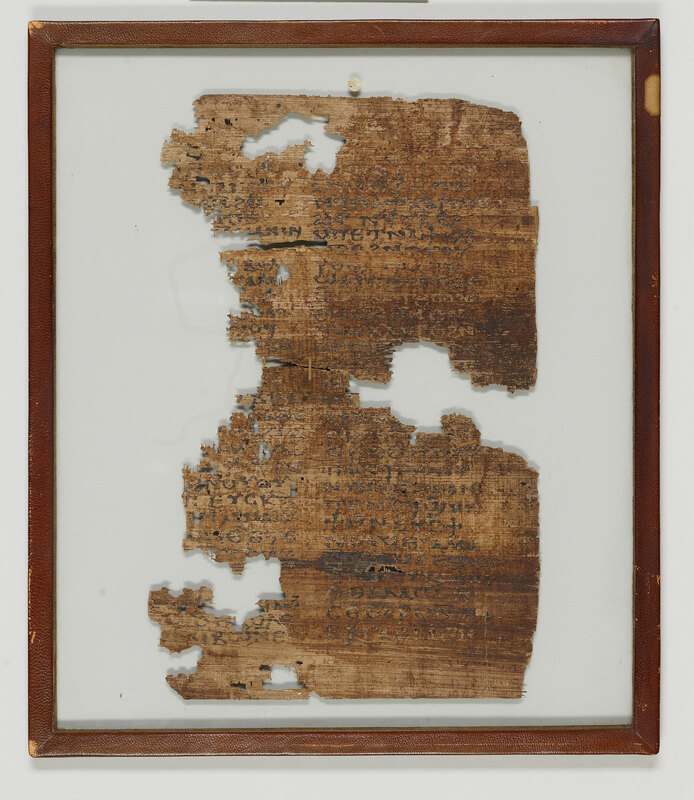 Texts: generic ending of a homily on the recto of fragment (1); homily on the Nativity, attributed to a bishop of Caesarea (Basil?) on the verso of fragment (1); homily fragment, perhaps from one of the preceding on the recto and verso of fragment (2). Edited and translated into English by Crum. Divisions: Title, divider, and paragraphus sign (zeta-shaped coronis) setting off major textual units; horizontal rule setting off paragraphs. Collation: No remains of signatures, quire ornaments, monograms, headlines or catchwords.